With hundreds of thousands of unauthorized downloads, StarCraft 2 is the most pirated game of 2010 thus far. Although Blizzard Entertainment is probably not too excited by this honorary title, the company also benefits from BitTorrent. In fact, StarCraft 2 is probably the most legally downloaded game on BitTorrent too. 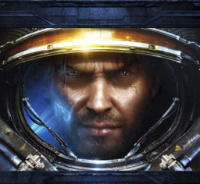 The highly anticipated release of StarCraft II: Wings of Liberty has become a smash hit for Blizzard Entertainment. Within 24 hours the game sold a million copies and a day later the counter was already at 1.5 million, turning it into the fastest selling strategy game ever. Unlike with most other games, BitTorrent actually assisted in the record breaking StarCraft 2 sales, since all download copies were distributed through Blizzard’s BitTorrent downloader. The downloader, which was first bundled with a World of Warcraft release, lets users download the game and subsequent patches. By using a BitTorrent-based distribution client, Blizzard ensures that all customers can download the 7 Gigabyte installer at full speed, without having to invest too much in bandwidth and server capacity. This is yet another example of how BitTorrent can help content owners, instead of hurting them. The question that next comes to mind is how many people have used the BitTorrent downloader to grab their copy of StarCraft 2. Since the downloads use a BitTorrent tracker to communicate between peers, we tried to find out. Unfortunately the BitTorrent tracker used by Blizzard doesn’t report seed and leech counts to the public, so we were unable to find out how many people have downloaded the official release via the BitTorrent downloader. However, with the tremendous success of the game, in terms of sales it wouldn’t surprise us if it broke the record for the largest BitTorrent swarm ever. That said, BitTorrent is also the preferred distribution channel for unauthorized copies of StarCraft 2, and much to the disdain of Blizzard these illegitimate downloads have been skyrocketing. The unauthorized copies of the game appeared on BitTorrent almost simultaneously with the official release and close to 100,000 copies were downloaded in the first 24 hours. According to statistics gathered by TorrentFreak, the total number of pirated downloads of StarCraft 2 currently sits at 260,000, with 50,000 people actively sharing the game at the time of publication. This makes StarCraft 2 the most pirated game of 2010 to date. TorrentFreak contacted Blizzard’s PR agencies in the US and Europe last week to get more information on the BitTorrent downloader and the number of downloaded copies, but unfortunately we haven’t heard back from them. Nevertheless, we estimate that StarCraft 2 is both the most pirated and biggest selling game to be distributed via BitTorrent this year. c There are 80 comments. Add yours?